Step off the beaten path and head to Feel Vegas - Club Rovaniemi and Korundi House of Culture. There's lots more to do: tour the pleasant surroundings at Ounasvaaran Hiihtokeskus Oy, look for all kinds of wild species at Wildlife Areas, explore the fascinating underground world of Syvasenvaara Fell, and see the interesting displays at Christmas House Santa. To see traveler tips, other places to visit, and more tourist information, refer to the Rovaniemi journey planner . Hannover, Germany to Rovaniemi is an approximately 9.5-hour flight. You can also drive. Due to the time zone difference, you'll lose 1 hour traveling from Hannover to Rovaniemi. When traveling from Hannover in February, plan for colder days and a bit cooler nights in Rovaniemi: temperatures range from -6°C by day to -11°C at night. 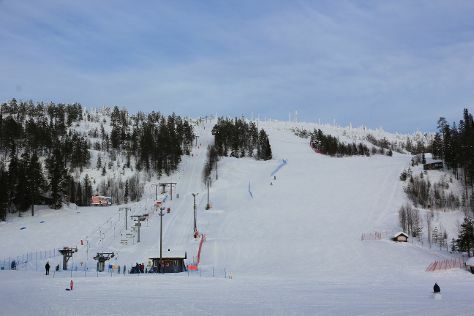 Wrap up your sightseeing on the 24th (Sun) to allow time to drive to Levi. 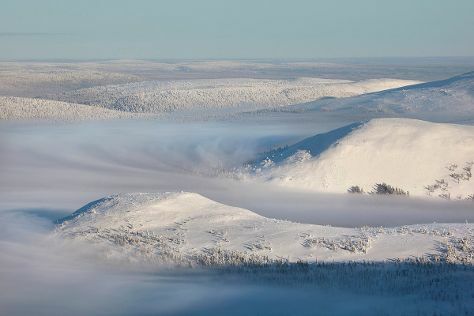 You'll discover tucked-away gems like Pallas-Yllastunturi National Park and Elan Ski Shop & Rental. Change things up with a short trip to Nature & Wildlife Tours in Kittila (about 50 minutes away). And it doesn't end there: hit the slopes at Yllas Ski Resort, take a stroll through Ounasjoki - River for activities, have fun at Kid's Land, and look for all kinds of wild species at Santa"s Cottage & Pet Farm. To find more things to do, photos, ratings, and other tourist information, refer to the Levi trip itinerary planner . You can drive from Rovaniemi to Levi in 2.5 hours. Another option is to take a bus. Expect a daytime high around -5°C in February, and nighttime lows around -12°C. Finish your sightseeing early on the 27th (Wed) to allow enough time to travel to Salla. Salla is a municipality of Finland, located in Lapland. On the 28th (Thu), fly down the slopes at Salla Ski Resort, then contemplate the long history of Paikanselan Taistelualue, and then learn about all things military at Salla Museum of War & Reconstruction. To find traveler tips, reviews, where to stay, and tourist information, refer to the Salla trip planner. Drive from Levi to Salla in 3.5 hours. February in Salla sees daily highs of -6°C and lows of -13°C at night. Cap off your sightseeing on the 28th (Thu) early enough to travel to Luosto. Start off your visit on the 1st (Fri): look for all kinds of wild species at Kopara Reindeer Park. For maps, reviews, photos, and more tourist information, you can read our Luosto trip maker website . Traveling by car from Salla to Luosto takes 2 hours. In February, daytime highs in Luosto are -5°C, while nighttime lows are -13°C. Wrap up your sightseeing by early afternoon on the 1st (Fri) to allow time for travel back home.